The Chinese New Year break may be over, but here’s something to get your spirits up again. 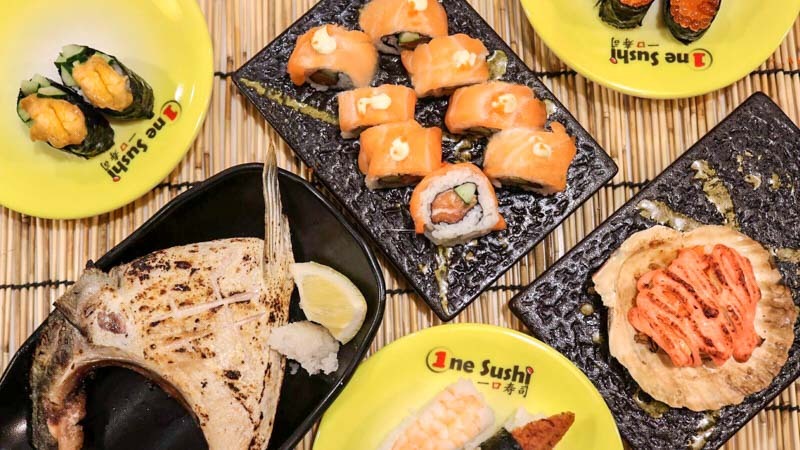 One Sushi 一口寿司 in Yishun Town Sqaure is back with another jaw-dropping Salmon Sashimi promotion! 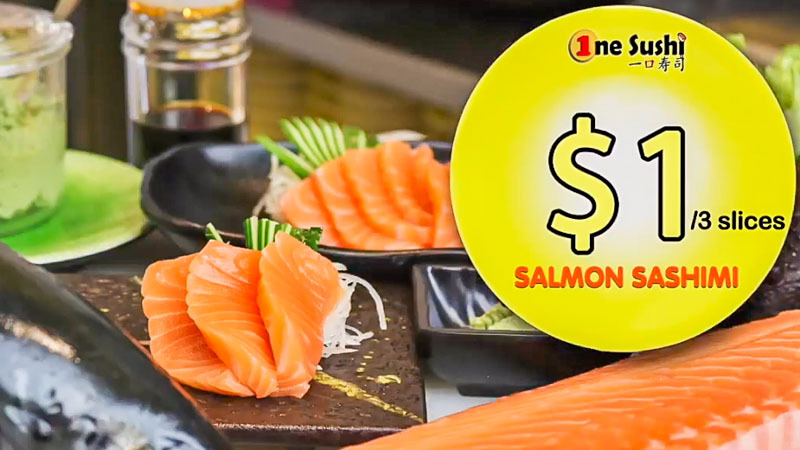 From now until 19 February 2019, they’re serving up plates of Salmon Sashimi for only S$1++ each! Each plate comes with three slices of fresh salmon, so you’re definitely getting your money’s worth. Order as many plates as you want, and eat to your heart’s content. If you want to switch things up a little, why not try some of their other sushi plates from the conveyor belt? With over 50 types of sushi to choose from (including some with uni), you’ll be spoiled for choice. To enjoy this unbelievable offer, simply ‘like’ the restaurant’s Facebook page, and tag a friend. It’s as simple as that, so gather your friends for a swimmin’ good time at One Sushi 一口寿司!